If you built your company from the ground up, why not do the same with your visual marketing strategy? 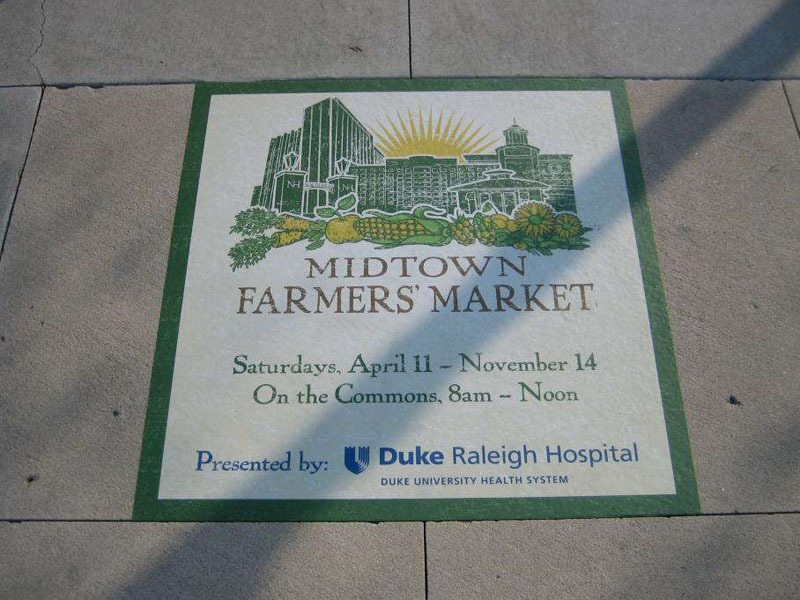 At SpeedPro Imaging Charlotte Center, we’ll collaborate with you to come up with custom floor graphics that can be used to convey an assortment of messages to customers and employees alike. We serve businesses throughout Charlotte, Gastonia and Huntersville, and we’ve been doing so for nearly 10 years to commercial acclaim. Come see what we’re all about! We often don’t think about the ground we walk on, and that’s why using it as marketing and branding medium is so unique and memorable. It has to be approached properly, however, or the graphics will be left as simple footnotes. That’s where our visual communication experts come in, as they will work with you to find out the best use for vinyl floor graphics in your business location. We take pride in making our process streamlined and stress-free, as your satisfaction is our number one priority. We’ll aim to understand your business’s needs through a detailed consultation process, and we won’t stop working until we’re on the same page. From conceptualization to surveying to installation, we’ll stick by you every step of the way. The possibilities floor graphics offer are exciting, and if they’re bright and vibrant, they’re sure to help expand your business. You can use these tools as directional signage to point people in the right direction to your latest event, or they can provide general information on the event like times and dates. They also make fine logos, which add a layered dimension to your branding ensemble. When viewed from above, like a higher floor or through an aerial shot, they can create especially memorable impressions. 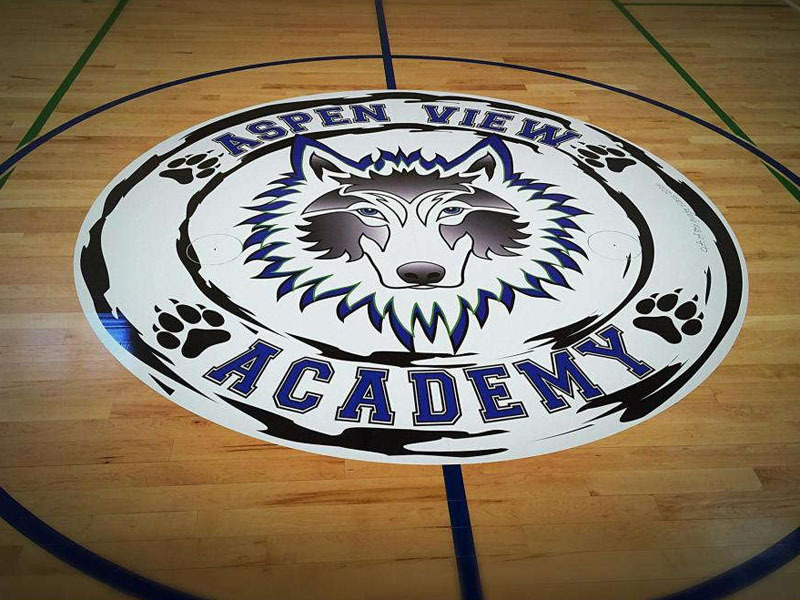 We’ll take into account whether or not you want to keep your vinyl floor graphics for the short-term or the long-term, and from there, we can adjust the materials we use when we install them. Our materials, inks and laminates will be customized to extend graphic life as long as possible. Our experts can adjust them to fit any kind of surface, so you’ll be able to apply your new products to wood, linoleum, concrete and many other common floor types. 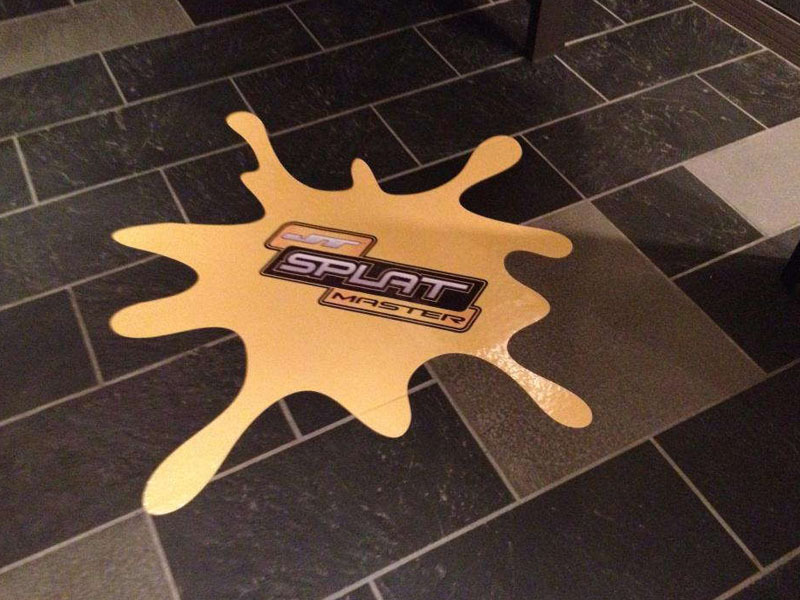 When you partner with SpeedPro for your custom floor graphics, we’ll utilize our color-matching practices to keep the floor graphics in line with the rest of your branding elements. In addition, the custom floor clings that we offer can be just the beginning our partnership, as we’re committed to working with businesses who take their visual communications seriously. Contact us today to set up your consultation, or come visit us at our studio on Interstate Street, just off of I-85 in Charlotte.